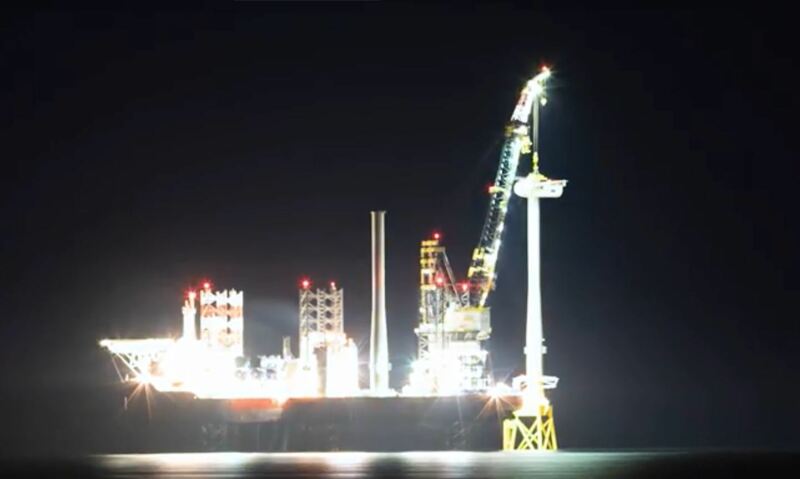 Aberdeen Offshore Wind Farm work at night. The report, which included a number of Scottish wind developments, forecast that the actual cost would be around £1.82bn. The report took a number of UK wind developments into account, including Beatrice Offshore Wind Farm, Robin Rigg and the Beatrice Demonstrator project.